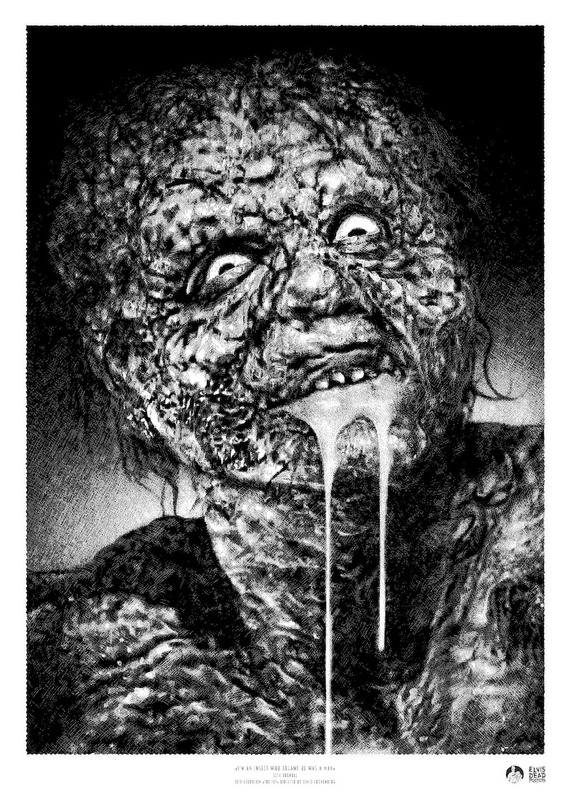 Elvisdead has a new print inspired by David Cronenberg’s The Fly up in their shop. “Brundlefly” is a 50x70cm screenprint, has an edition of 50, and costs €40. Visit Elvisdead.com.